"Love your cozy and comfortable cabins! 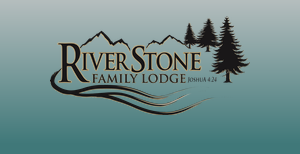 You have a wonderful lodge in a peaceful and beautiful MT landscape. Thanks to the friendly staff, too, we really enjoyed our stay!" "Thank you so much for the hospitality you extended to the Border Patrol during our recent stay at RiverStone Family Lodge. The meeting room and refreshments were perfect, the beds were comfortable- Everyone was happy!" "Thank you all for the use of your conference building and kitchen! Our recent meal and Bible conference went very well and you were part of making that happen. Thank You Again"
"Such a great place- Ideal for receptions, quilting or scrap booking gatherings- Great set up"
"I just wanted to take a minute to thank you for our wonderful visit at your Lodge"
"Your friendly staff is a great asset to your business"
"A simple thank you does not begin to express our gratitude to you for making your lovely facility available. We are very thankful for your generosity"